I am that mom that dresses her daughter in frill and lace every chance she gets. So in my opinion every little girl needs a tutu! 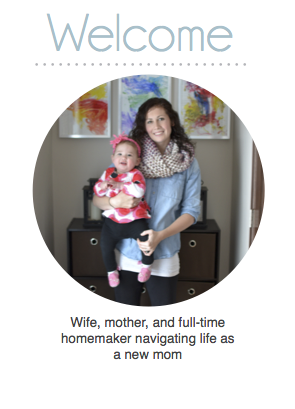 They are great for photo shoots, playing dress up, and just dancing around the house. 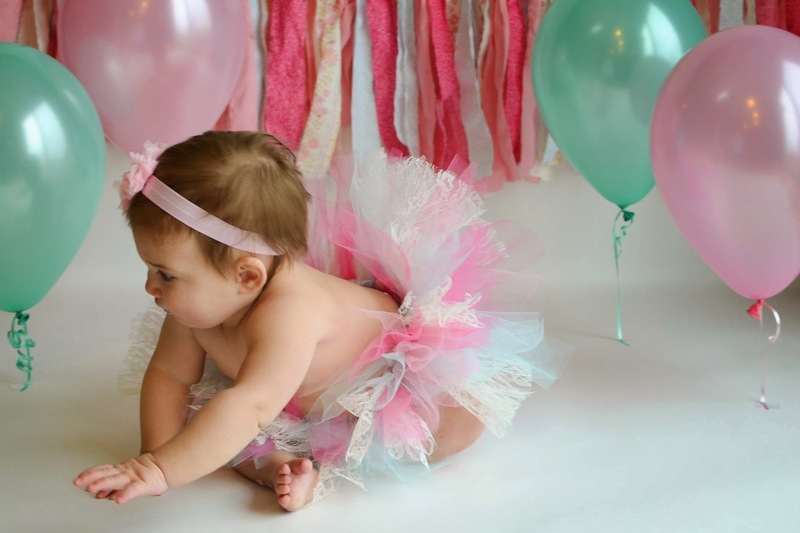 With so many different ways to wear tutus they may just be one of the most versatile clothing items for little girls. Luckily, they are easy to make at a fraction of the cost they charge in stores. a piece of cardboard 12" wide x the length of your tutu. 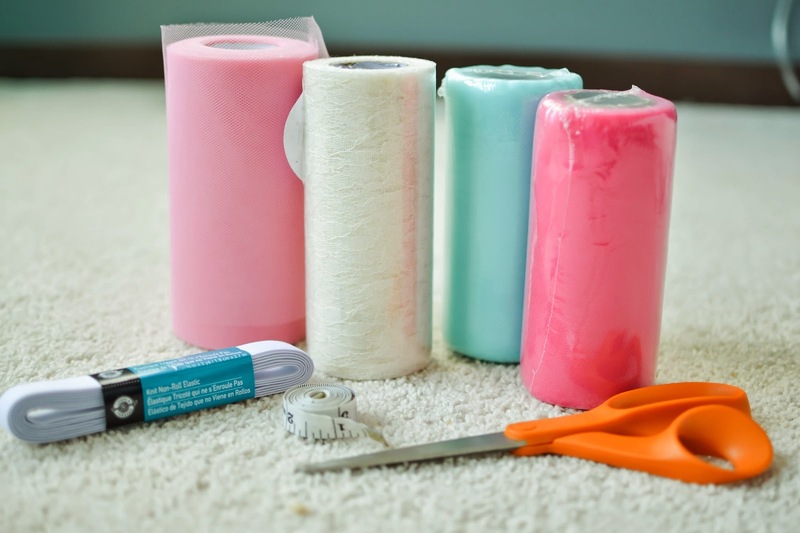 - Each roll normally contains 25 yards of tulle. I used 30 yards making a tutu for my large one year old. The tutu was 18" around and 8 inches long. The amount of tulle you will use depends on how full you want the tutu and how large your child is. 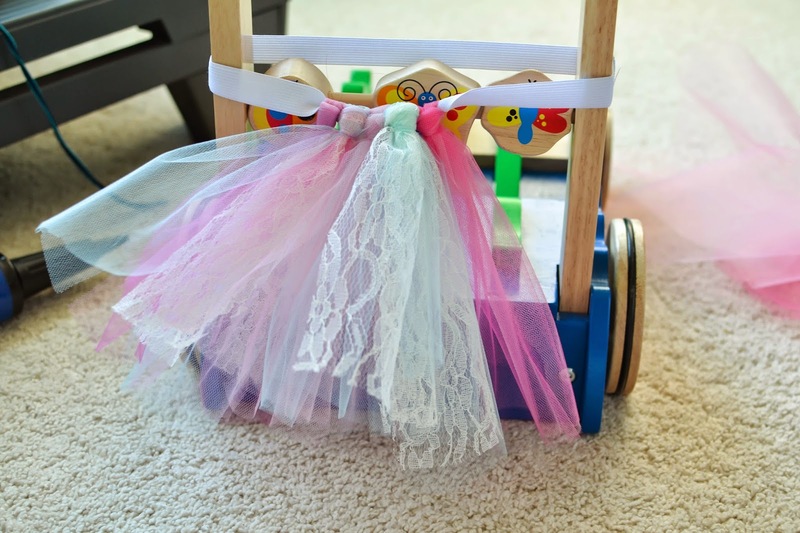 - For a two color tutu you will need 15 yards of each color if using the 6" rolls of tulle. - I used 4 colors to make my tutu and used 8 yards each of hot pink, turquoise, and light pink, and 6 yards of ivory lace tulle for an accent. 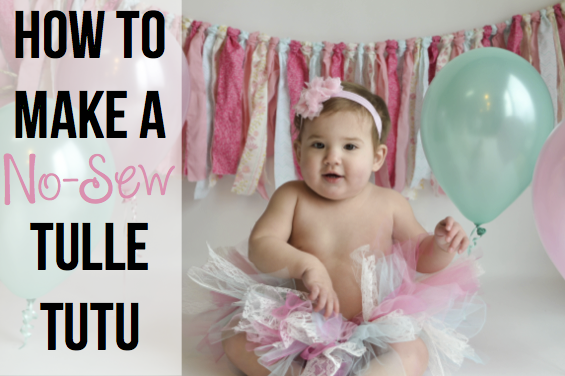 The first thing you are going to want to do is decide on what size to make your tutu. Below you will find a rough size guide. However, if you have a child who is very small or very large, like mine, you may want to quickly measure their waist just to make sure. When cutting the elastic make sure it is 2 inches smaller than your child's waist measurement. After you have cut the elastic to the correct size it is time to sew the ends together. You can simply knot the elastic together, but I prefer to use a needle and thread. Overlap the elastic about half of an inch and put a few stitches in the end to hold the elastic together. Next you will need a piece of cardboard that is 8-12" wide. You can use any cardboard you have lying around. I used a cereal box. 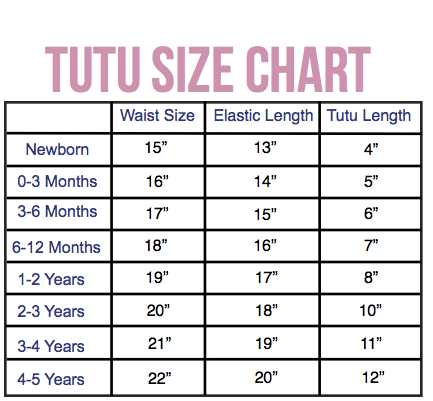 The length needs to be 1/2 inch longer than your desired tutu length. I made an 8 " tutu so my cardboard was 8.5" long. 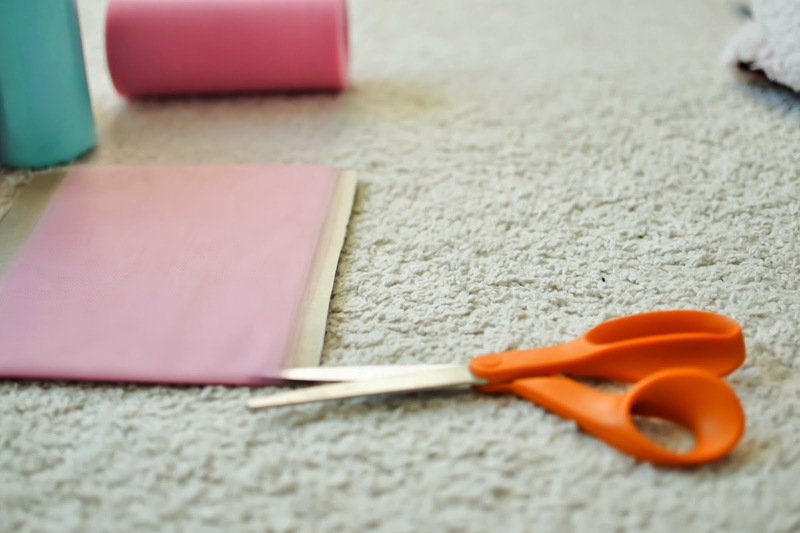 This cardboard will help you cut your tulle to the desired length quick and easily. Now start wrapping your tulle around the length of the cardboard from one end. Remember that each strip of tulle will be twice as long as the desired length of the tutu. I wrapped each of my 4 colors around the cardboard 15 times to start. If you are using 1 color start with 60 wraps. For 2 colors do 30 wraps of each, for 3 colors 20 wraps, etc. Once you have your tulle wrapped around the cardboard it is time to cut it. You will only cut one edge of the tulle. Cut down the side of the cardboard that you started wrapping the tulle on. This should result in a pile of strips that are twice the length of your tutu plus 1". So if your are making an 8" tutu your strips should be 17" long. Repeat step number 2 with all other colors. Now you should have a pile of tulle prepped for the final step. 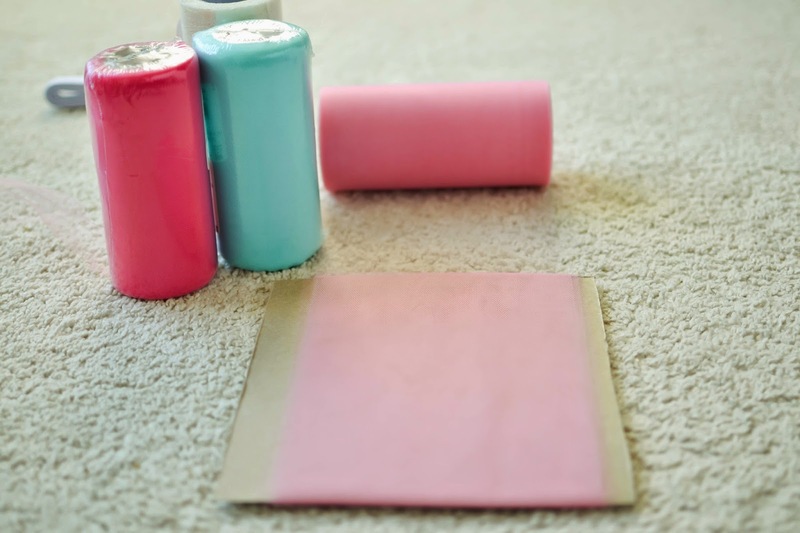 Once all of your tulle is prepped slide you elastic over your cardboard, chair or anything else that holds it in place without over stretching. I used Grace's push toy. At this point you should not have any tulle on your elastic. Now it is time to wrap the tulle around the elastic. 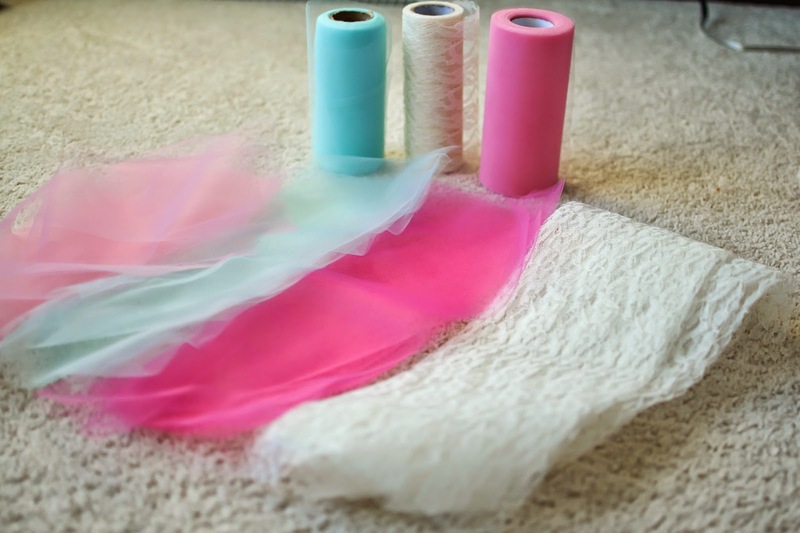 In order to get a full tutu you will want to use three strips of tulle for each knot. I made 24 knots for my 18 inch tutu resulting in me using 72 strips of tulle. Take 3 strips of tulle. If using multiple colors mix and match them throughout. Maybe grab color 1, 2, and 3 this time and 3, 2, 3 next time. Layer all three strips on top of each other and fold in half. Put folded loop in front of elastic. Now take the tails of the tulle and fold it behind the elastic and through the loop. Gently tighten being careful not to pull too tight or the elastic will stretch out too much. I forgot to take pictures of the knot, but it is the same one I used to make the fabric garland. 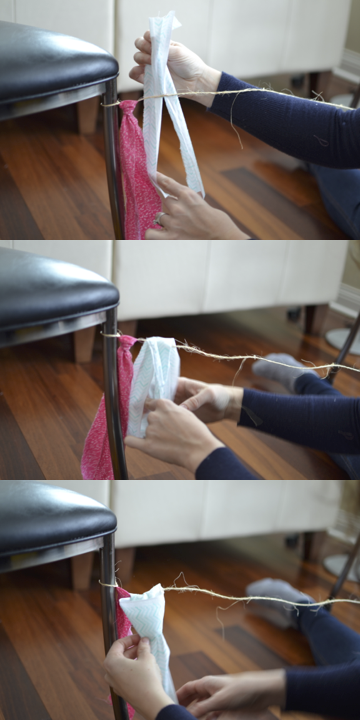 Repeat until the elastic is filled with knotted tulle. Then remove the tutu and fluff going through each layer and separating the tulle. 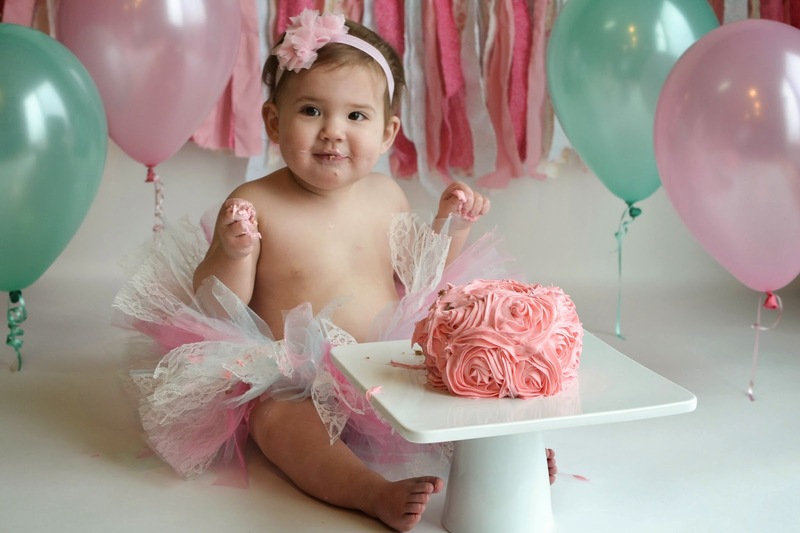 If you wish you can add embellishments such as flowers, ribbon, and bows to the tutu - the possibilities are endless. Now you are finished and it is time to enjoy your creation! This is so cute! Thinking of doing this for A for her birthday. Do you have any idea what the cost ended up being? The cost was probably around $12 since I bought 4 separate colors, and I have enough tulle leftover to make another if I wanted. You could easily make a tutu for anywhere between $4-$9 if you only use 1-3 colors. Each roll of tulle was around $2.50 and the elastic was only $1 or 2.